The 2019 Bread Loaf Writers’ Conference will be held from August 14 to August 24 in the Green Mountains of Ripton, Vermont. Founded in 1926 and boasting a rich literary and intellectual tradition, the conference gathers together emerging writers to work closely with a diverse and talented faculty. Workshops in fiction, poetry, and nonfiction are at the core of the conference. Groups are kept small to facilitate discussion, and all participants meet individually with their faculty leaders to elaborate on workshop comments. Faculty members also offer lectures on issues around literary writing and one-hour classes on specific aspects of the craft. Readings by the faculty, conference participants, and guests take place throughout the day and into the night. Participants meet with visiting editors, literary agents, and publishers who provide information and answer questions, individually or in small groups. The 2019 Bread Loaf Environmental Writers’ Conference will be held from May 31 to June 6 in Ripton, Vermont. The program, cosponsored by the Middlebury College Environmental Studies Program and the Franklin Environmental Center, is for all writers of poetry, nonfiction, and fiction whose work engages with or advocates for nature and the environment. The conference is also intended for environmental professionals, journalists, and teachers wanting to strengthen and explore their writing in a literary context. The 2019 Bread Loaf Translators’ Conference will be held from May 31 to June 6 in Ripton, Vermont. The conference is for literary translators wanting to strengthen their expertise; for foreign language students who want to develop skills in the art of translation; for teachers who want to bring the practice of translation into their classrooms; for writers who want to acquire literary craft via translation and imitation; and for anyone else who would like to participate in the growing community of literary translators. The 2019 Bread Loaf in Sicily Conference will be held from September 22 to September 28 in Erice, an ancient, hilltop town on the western coast of Sicily. 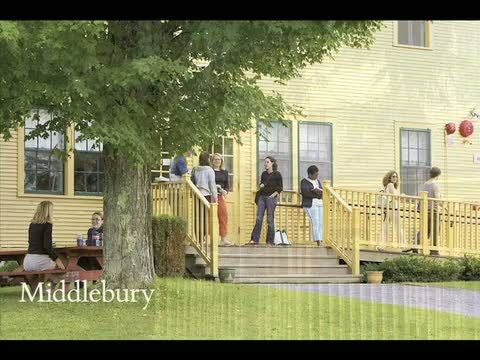 A smaller, more intimate Bread Loaf, the program features intensive six-person workshops in poetry, fiction, and creative nonfiction offered by veteran Bread Loaf faculty.